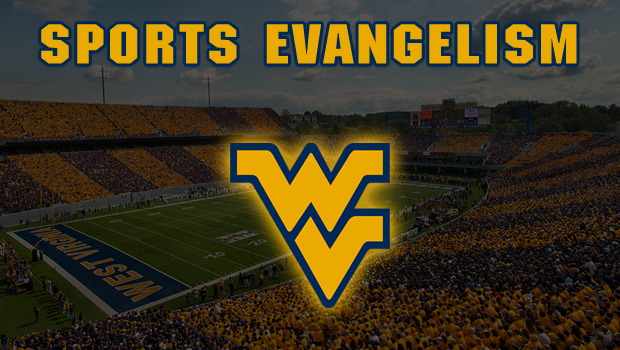 MORGANTOWN – I arrived well before kickoff as the tailgating was already in full swing. WVU fans are known to setup tailgates the night before, so this was no surprise. I setup on a corner of the main tailgate parking lot and began distributing Gospel tracts. I was advised after about an hour or so by a WVU staff member that I was not permitted to distribute them on school property. WVU owns the majority of all the surrounding parking lots to the stadium. So I moved down the sidewalk a bit and continued distributing Gospel tracts. Though I did not have the opportunity to open-air preach, I was able to give out almost 1,000 Gospel tracts…not too shabby considering I was alone. After some recon, it was determined that for future games I have cleared it with WVU Campus Police that there is no legal violation in open-air preaching on the property. However, WVU is a school with free-speech zones closer to campus. By God’s grace, I received calls back from the Athletics Department and WVU University Police with the green light for future games!